Acting as a canvas for the rest of your makeup, a flawless base is vital to concealing imperfections, unifying your skintone, and creating a flawless finish, fine-tuned to your beauty goals. Whether you’re intent on masking blemishes or blurring the appearance of lines and wrinkles, the best formulas will function as part-camouflage, part-problem solver, no matter what your age. Your twenties are all about enhancing, not covering your complexion. If your skin is good, keep things light – a sheer, oil-free formula will let your natural skin show through, so don’t fall into the trap of wearing a too opaque foundation. Apply base only where you need it – generally, discolouration is at its worst in the centre of the face and around the nose. If you suffer from blemishes or scarring, use a concealer to stealthily mask imperfections rather than an unnecessarily heavy foundation (which will clog pores and appear mask-like). Choose a concealer with an emollient texture like the Cover FX Blemish Treatment Concealer, which will be easier to blend. 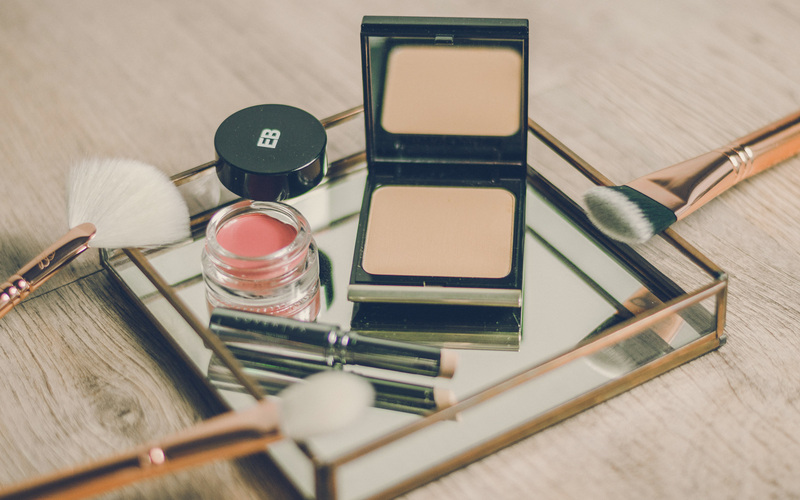 With fine lines and an uneven skintone creeping up on you in your thirties, its time to upgrade your base makeup to tone down the appearance of discolouration and promote a clearer, more even complexion. Above all, don’t fall into the habit of applying foundation unnecessarily; to keep it from drawing attention to fine lines, apply it only to the areas where it’s most needed (typically the centre of the face and around the nose). 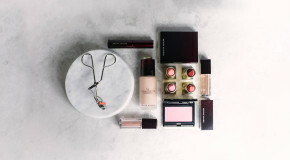 Keep things light; a sheer, natural formula like Kevyn Aucoin’s Sensual Skin Powder Foundation should fit the bill – the formula contains colour-correcting pigments to neutralise redness and topaz and quartz minerals to maintain skintone and texture. In your forties, you start to lose oestrogen and your skin becomes drier. Ensure that your base products not only replenish moisture, but recreate the appearance of healthily hydrated skin. Matte textures can make skin look dull, so choose products with light-reflecting particles and iridescent finishes to create a soft-focus effect. With an emphasis on bringing back glow, opt for a creamy, light-reflecting foundation, and for extra radiance mix a liquid illuminator in with your foundation. Finish the effect by dabbing a cream highlighter, such as RMS’ Living Luminizer, over your cheekbones for a lit-from-within glow. 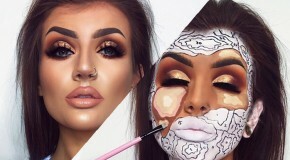 Whereas in the past you’ve relied on concealer to mask imperfections, as you age, foundation should be your main source of coverage – concealer will get stuck in fine lines and draw attention to them. Opt for a lightweight base like the Edward Bess Ultra Dewy Complexion Perfector, which will even out your skintone and impart a subtle luminosity for a ‘no-makeup-makeup’ look. What you will also notice in your fifties is that your skintone starts to fade. The solution is simple: just add colour. As skin grows more pallid with age, counteract pastiness and inject warmth back into your complexion by lightly dusting a bronzer over your base makeup. In your sixties, your main concern is lack of moisture; as hormone levels dip and skin gets drier, reach for creamy, moisture-rich foundations to alleviate dryness and keep your complexion looking and feeling youthful and fresh. A dewy finish to the skin is more forgiving than a matte base, and will make skin appear fresh and supple. Texture is key – liquids and mousses give sheer coverage and won’t look powdery or emphasise creases. Counter wrinkling by using silicone-based foundations (for a dewy finish) and apply makeup in delicate layers, using a sponge to prevent a crepey effect. Try Peter Thomas Roth’s Un Wrinkle Foundation, which is enriched with vitamins A, C, and E, to boost foundation with a luminous finish.